Healthcare workers often have their work cut out for them simply keeping their charges clean. Not only do you have to clean your patients, but you also have to clean up after them. Wouldn’t it be nice to have one healthcare wiper that would do both? Well, here you have it! 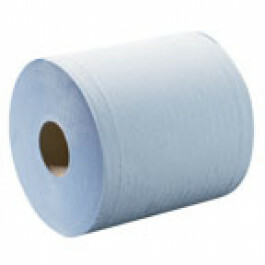 TIDDOX's HEALTHCARE PAPER TOWEL JUMBO ROLL delivers the versatility you need in the healthcare setting. Durable and absorbent, these healthcare wipes are priced to be disposable so that you don’t have to clean up after the clean-up. You may have given up on paper healthcare wipes, simply because they aren’t tough enough for the job. But TIDDOX has your back! Our healthcare disposable paper wipes are absorbent enough for any healthcare need, from liquids to semi-liquids. The viscosity of any liquid is often a factor in whether or not a healthcare wiper will be effective. This product is specifically designed to grip and absorb even semi-fluid materials. So if you find yourself cleaning up a baby’s bottom from an uber-poop event, our disposable healthcare wipes are ready to do the job. And, you’ll get to throw the cloth away, instead of rinsing and laundering it! The TIDDOX HEALTHCARE CLEANING PAPER TOWELS are one of the strongest products out there that can be used on human skin. This healthcare cloth is three layers of soft cellulose material that is bonded together, and then embossed. The embossing serves two purposes: it “tenderizes” the towels, and it creates an unbreakable bond between the 3 layers. This creates an absorbent healthcare towel that is tough enough to scrub down equipment and dried-on messes, but soft enough to use on a baby’s skin. The quality and pricing of these healthcare disposable paper wipes make them a favorite among healthcare workers. Those who work with the aged or in daycare facilities also love this product. One reason is that once you are finished with the wiper, you can throw it away! We have deliberately designed and produced a product with your needs in mind. After you have cleaned up a mess, the last thing you want is laundry associated with that mess. That’s why we have priced this product so that you can toss each towel with a clear conscience. One reason many healthcare facilities choose to go with cloth is that it can be reused. But, the cost of laundering, plus the time necessary to do the laundering, often negates the savings. Our disposable healthcare wipers will replace healthcare cloths, and you’ll never miss the fabric. There are 1000 perforated sheets on each roll. They are perforated for a reason – you’d never get them off the roll if they were not perforated. Tear one off, use it, and throw it away. You’ll find that it doesn’t cost you any more money than using cloth healthcare wipers. Try TIDDOX's HEALTHCARE PAPER TOWEL JUMBO ROLL and enjoy the cost savings that these 1000 single-use, disposable high quality, tear resistant 3-ply paper towels offer. Not only do they provide a healthcare environment, be it an aged care home or a child care school, with an economical, cost effective wiping solution, they also impress with their tensile strength and super absorbency! If preferred the wipers can be dispensed from one of TIDDOX's JUMBO ROLL FLOOR DISPENSERS, which is also capable of holding the CLASSIC JUMBO ROLL, another jumbo roll option for healthcare workers. Another leading healthcare cleaning cloth used extensively in aged care facilities in patient and resident cleaning are TIDDOX's famous packs of white OMNIWIPES.